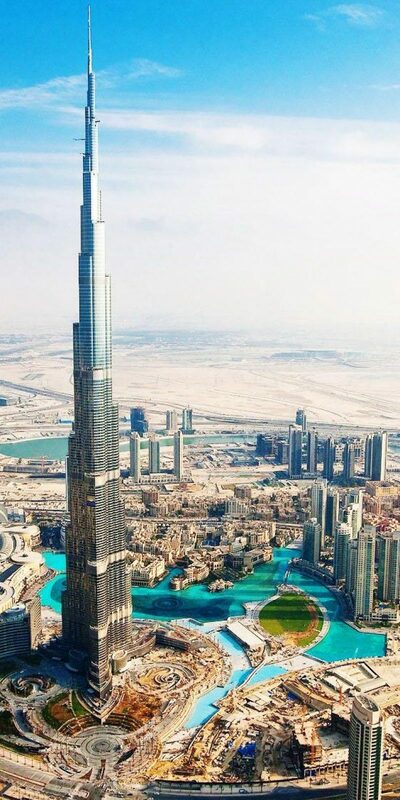 There are so many areas to stay in Dubai! Where should I stay?? Dubai Creek? Deira? Downtown Dubai?? Al Barsha near the Mall of the Emirates? Barsha Heights, Dubai Internet City, Dubai Media City, Dubai Marina, Jebel Ali Free Zone, Bur Dubai and The World Trade Center…. It’s a long list! Below is a recommended summary of hotels located in the areas listed above. Keep in mind, it can be relatively easy to get around in Dubai since taxis are quite cheap and the Dubai Metro is a great way of commuting. The hotel is located across from the Burj Khalifa (located in downtown Dubai), 4km from Business Bay and 16km from the Dubai airport. They do offer an airport shuttle and also have an outdoor pool complete with a fitness center. There is also a direct connection to the Dubai Metro (very easy to get around Dubai on). 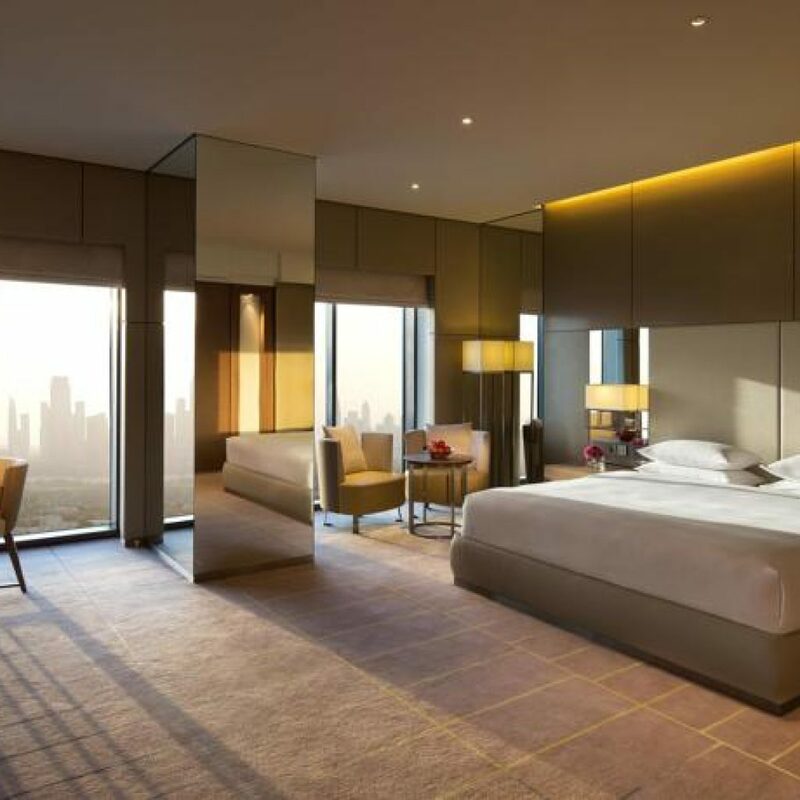 Check your dates and rates for Sofitel Dubai Downtown here. 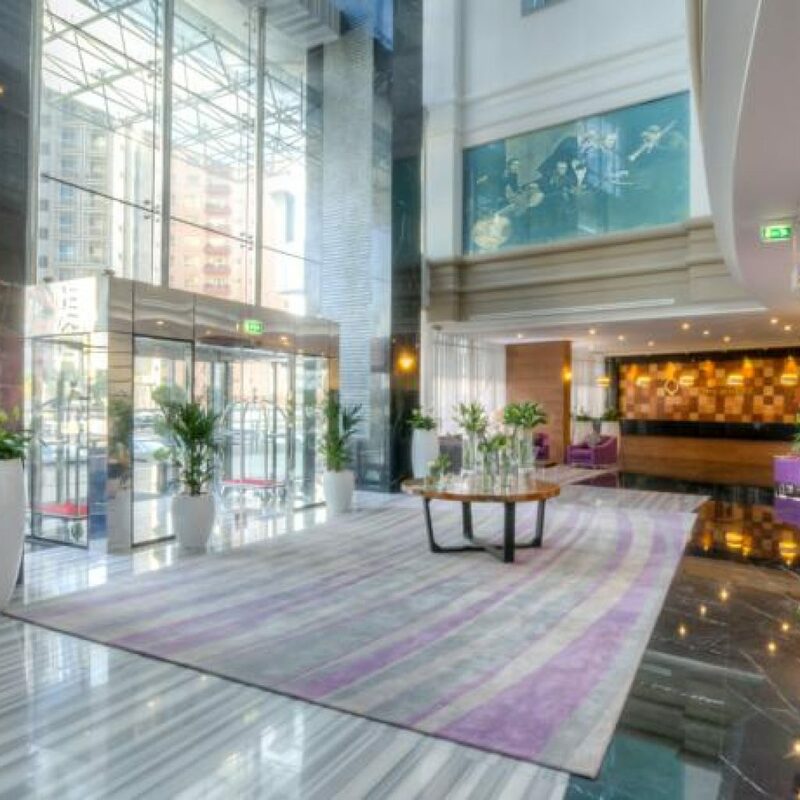 This hotel allows you to be right in the heart of Business Bay and 18km from the Dubai International Airport (DXB). They offer shuttle service to and from the airport, a fitness center and an outdoor pool. 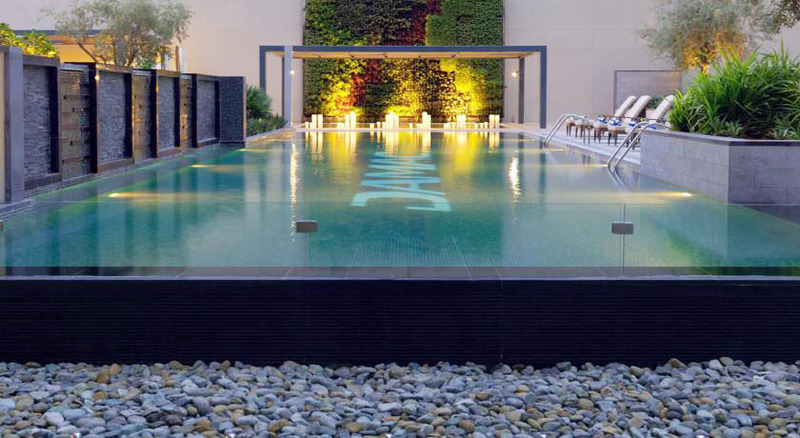 Check your dates and rates for DAMAC Maison Cour Jardin here. 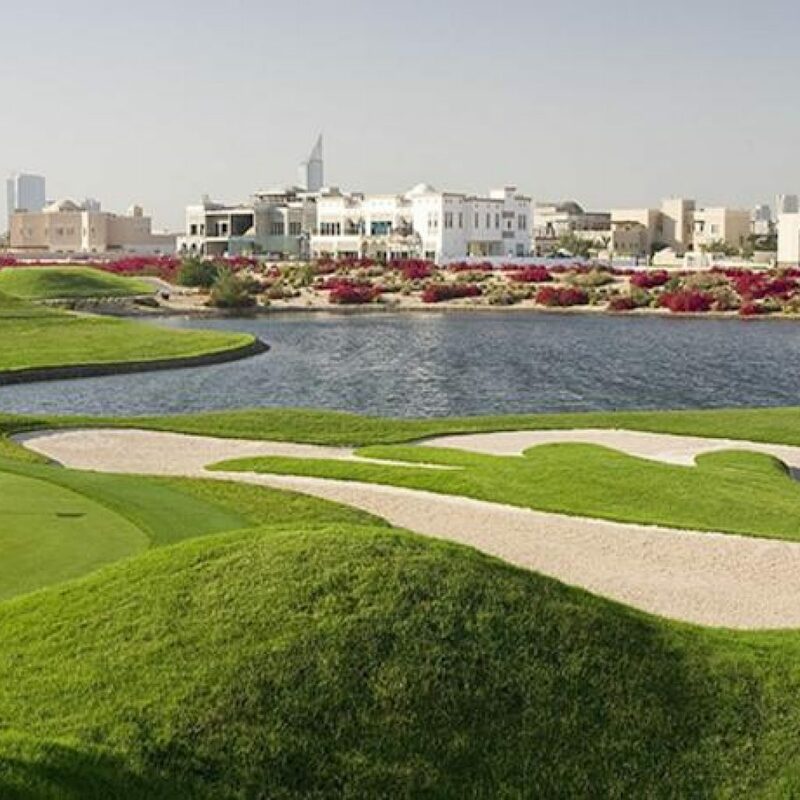 Looking to play a bit of golf with your clients while in Dubai? 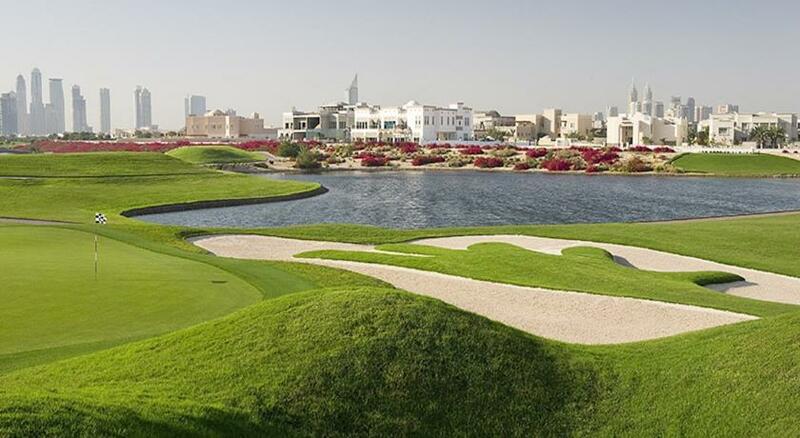 The golf course is within 3km of the hotel. 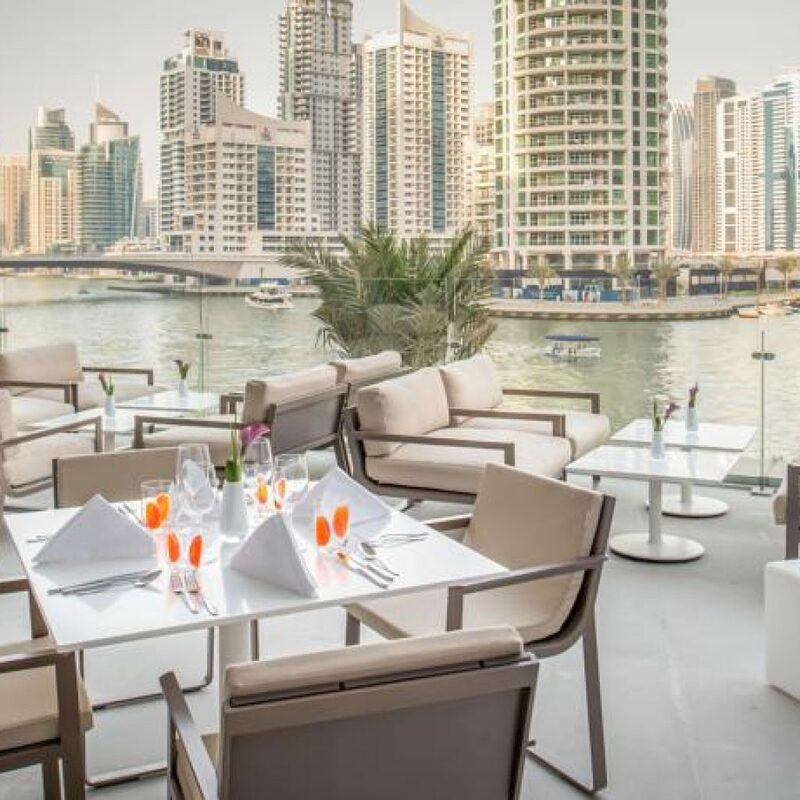 The hotel is located in the “Emirates Hills” area, across from Dubai Marina (on the East Side of Sheikh Zayed Road, about 3km off Sheikh Zayed Road. It’s a 36km drive from the Dubai airport to the hotel. There is a fitness center available at this hotel as well as a business center and outdoor pool. Check your dates and rates here. This hotel is located in “Barsha Heights”, which is just off the main freeway that runs through Dubai (Sheik Zayed Road). 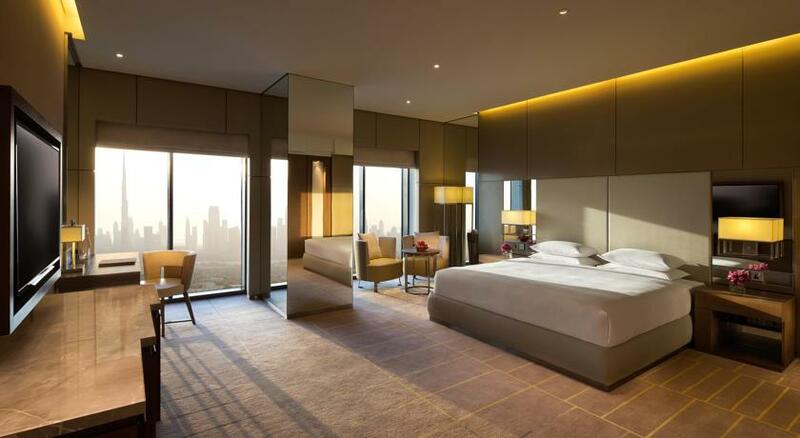 This hotel is on the east side of Sheik Zayed Road. It is right across from Dubai Internet city (3.5km). Dubai Airport (DXB) is 30km away from the hotel. 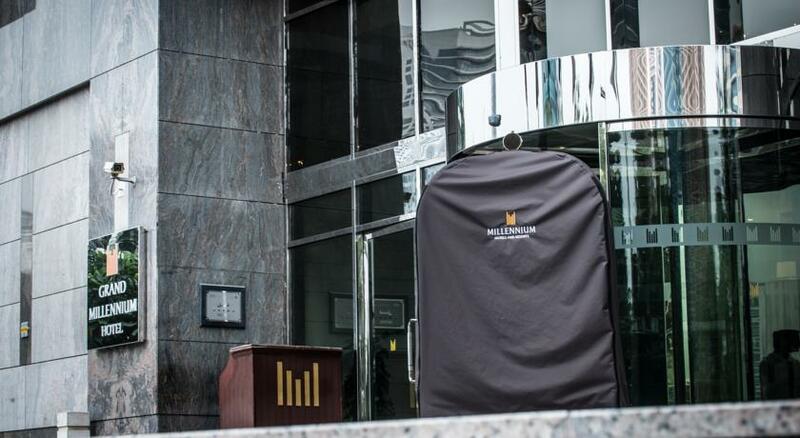 If you’re looking to make time for the gym, this hotel does have a fitness center. 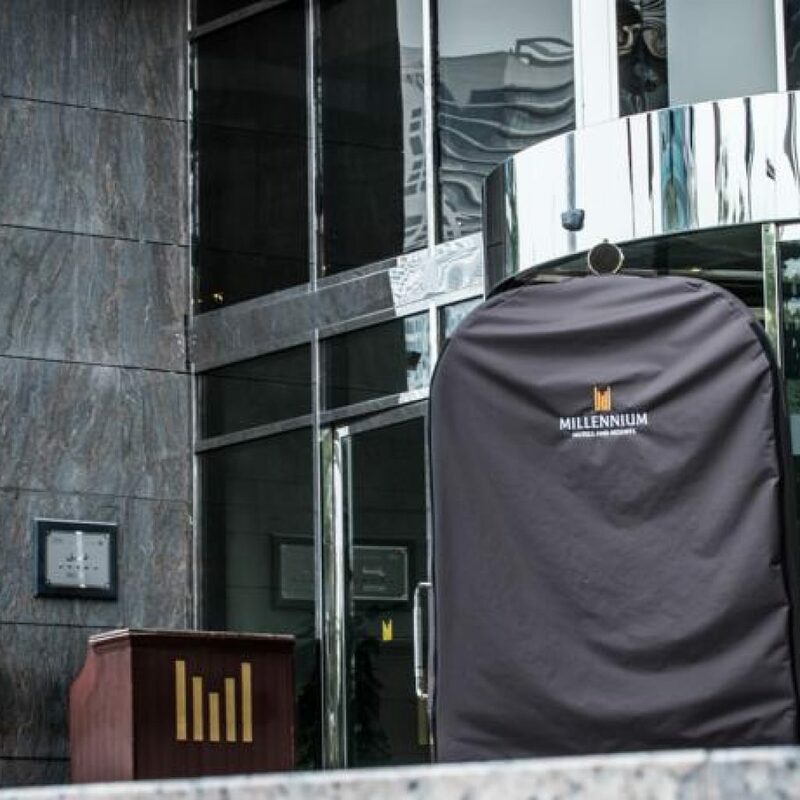 Check your dates and rates for Somewhere Hotel Tecom here. This hotel is situated in the Marina area of Dubai. There is a Tram right outside your door, which will take you right to the main Metro station. The Dubai Metro system is very handy and easy to use for commuting around Dubai. This hotel has a fitness center and an outdoor pool with views of the Marina. The hotel is a 10 minute walk from the JBR public beach. 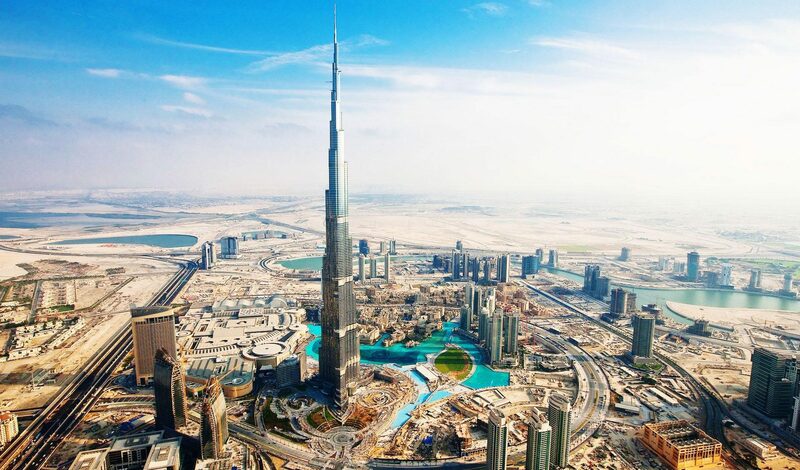 The hotel is 34km from the Dubai airport (DXB). 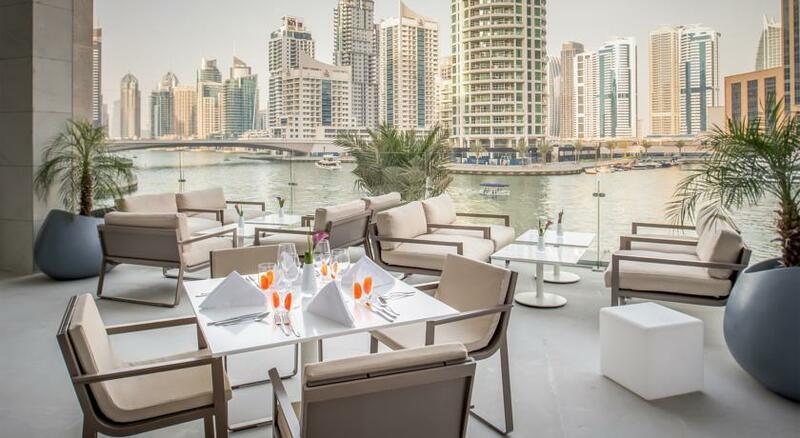 Check your dates and rates for InterContinental Dubai Marina here. 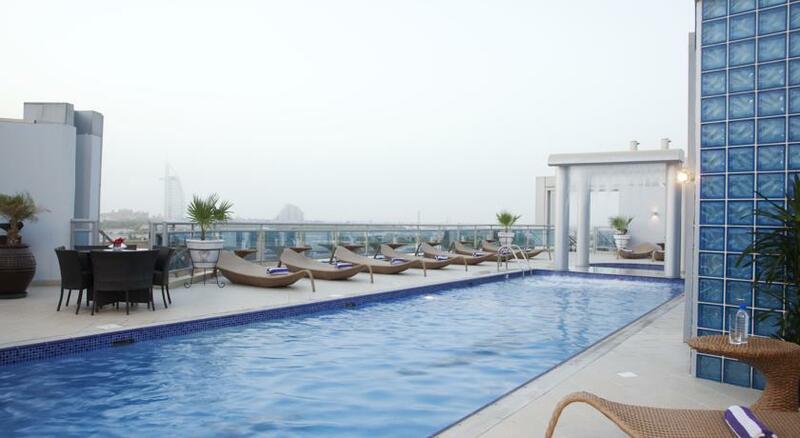 This hotel is located near the Dubai creek / Deira area in downtown Dubai. 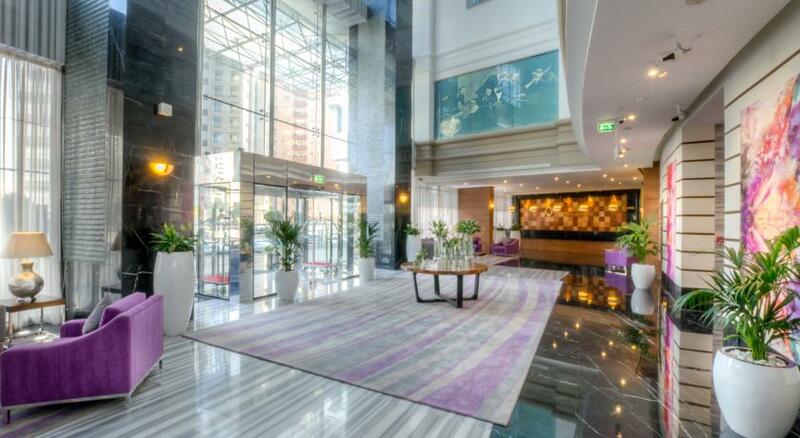 It is a well connected hotel with access to the Dubai Metro (450m / walking distance away). DXB (Dubai Airport) is 6km away from the hotel. 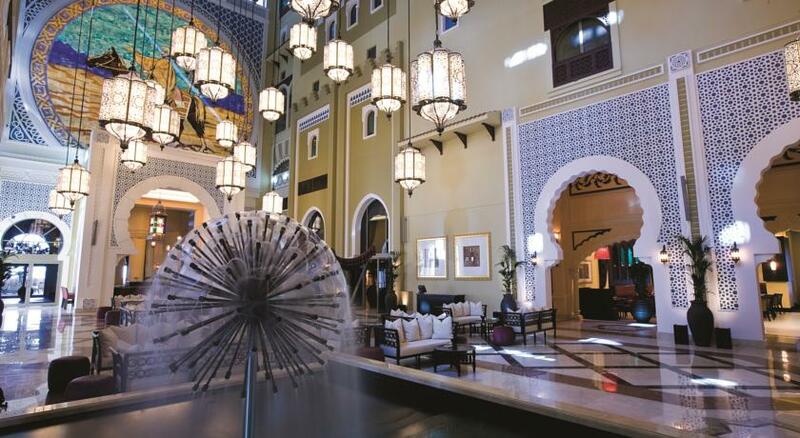 You could take the Dubai Metro to this hotel. This hotel has a fitness center and outdoor pool. 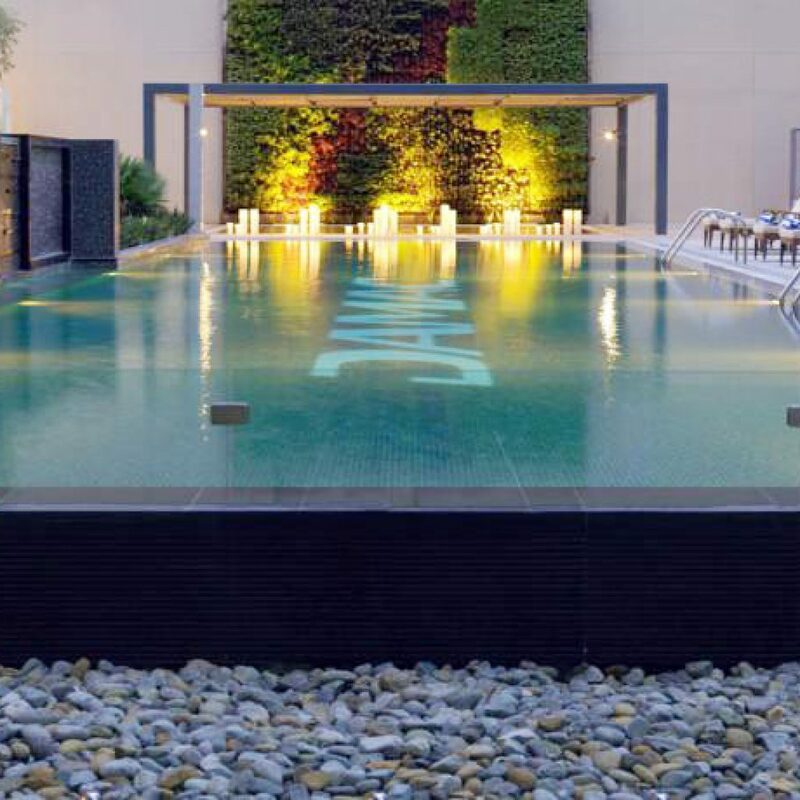 Check your dates and rates for Al Ghurair Rayhaan here. This hotel is situated on the South Side of the Dubai Creek, a few hundred meters behind the Wafi Mall (The Mall that looks like a pyramid). It is also 7 km away from the Dubai airport (DXB). This hotel has a fitness center and pool. 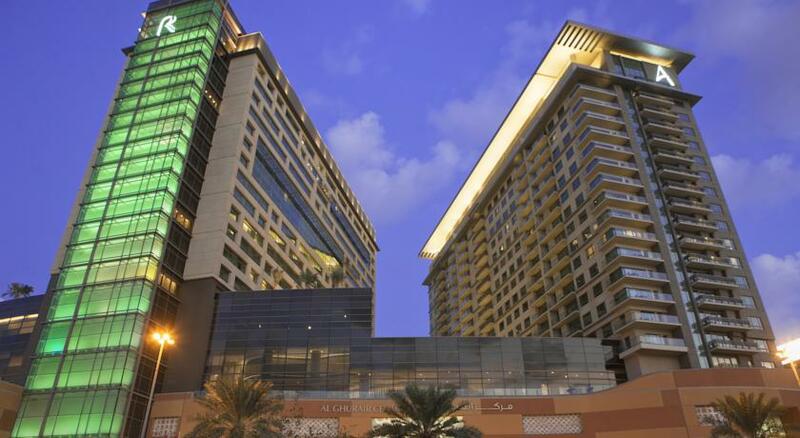 Check your dates and rates for Hyatt Regency Dubai Creek Heights here. 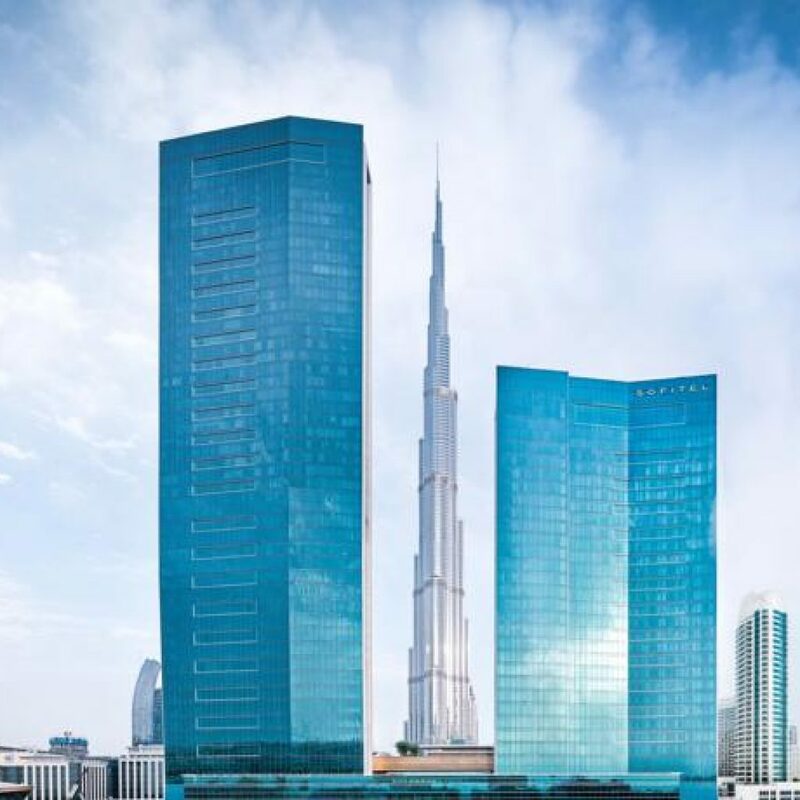 The hotel is situated across from Dubai Internet City, on the east side Sheikh Zayed Road and a 30km drive to and from the Dubai airport (DXB). This hotel has a fitness center and an outdoor poo. 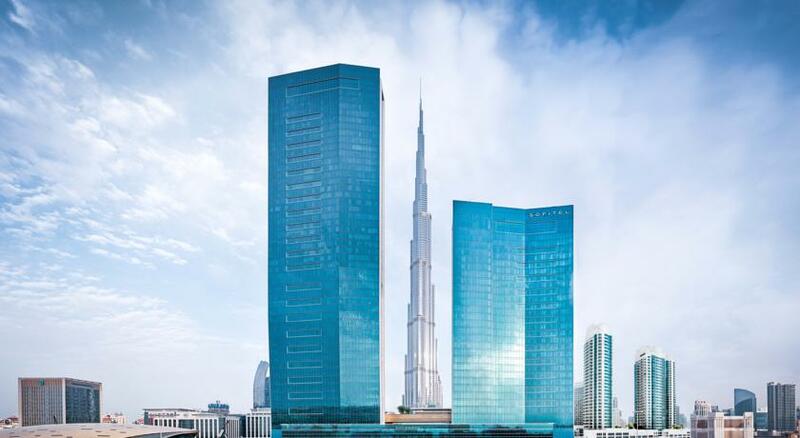 Check your dates and rates for Grand Millennium Dubai here. 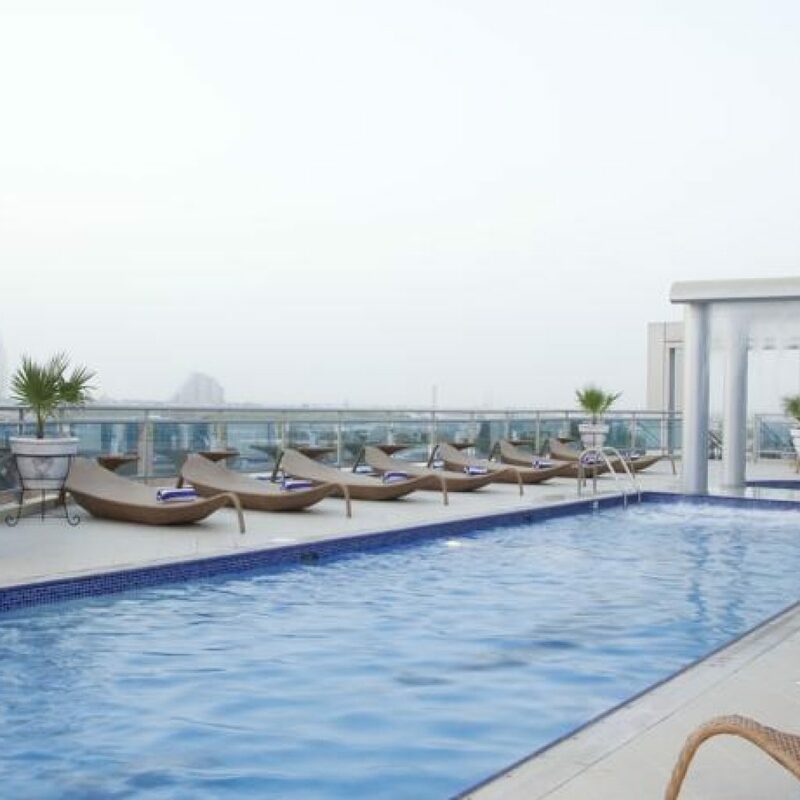 The Movenpick Battuta is located near the Jebel Ali area in Dubai. It’s a 10 minute drive to the Dubai Marina (straight down Sheik Zayed Road). This hotel does offer an airport shuttle and the airport is 40km away from the hotel. There is an outdoor pool and fitness center available for your use. 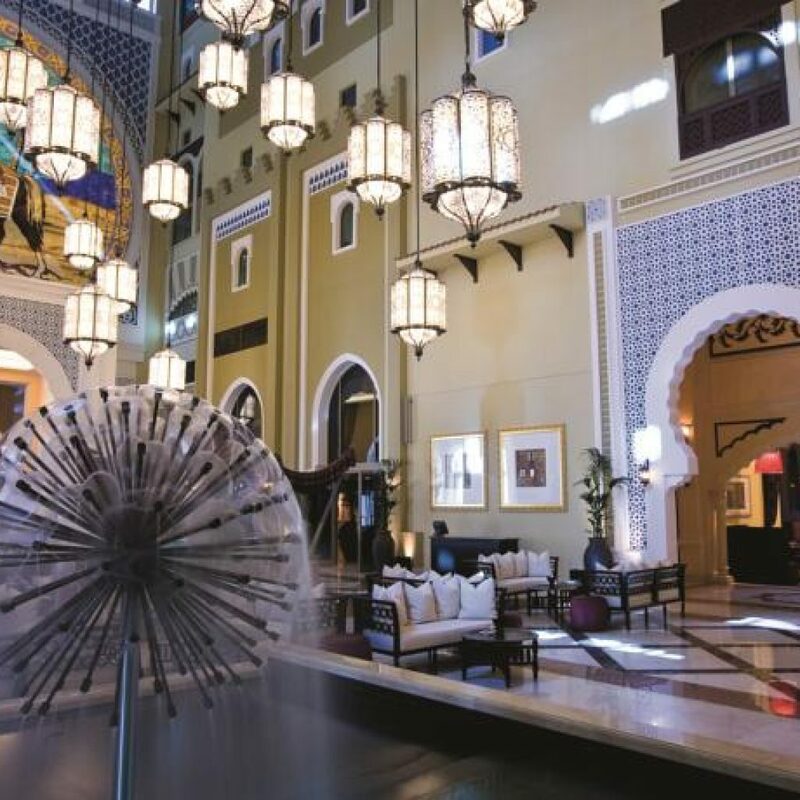 Check your dates and rates of Movenpick Hotel IBN Battuta Gate here. As the name of the hotel says it all, it’s located in Al Barsha. It’s located 28km from the Airport and offers an outdoor pool and fitness center. 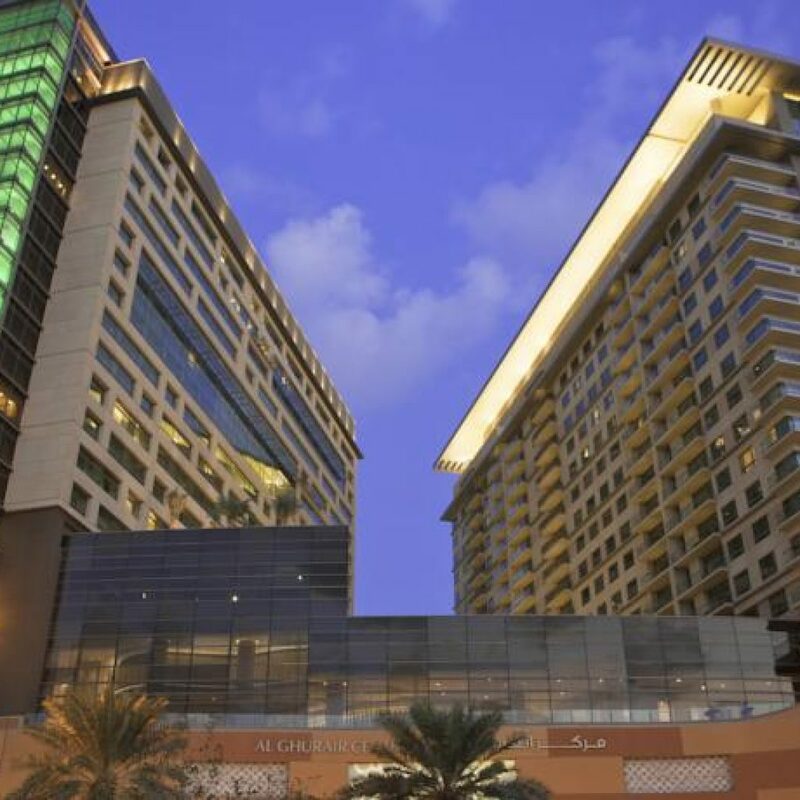 The hotel is located just off Sheikh Zayed Road, on the east side of the freeway. Check your dates and rates for the Holiday Inn Al Barsha here.